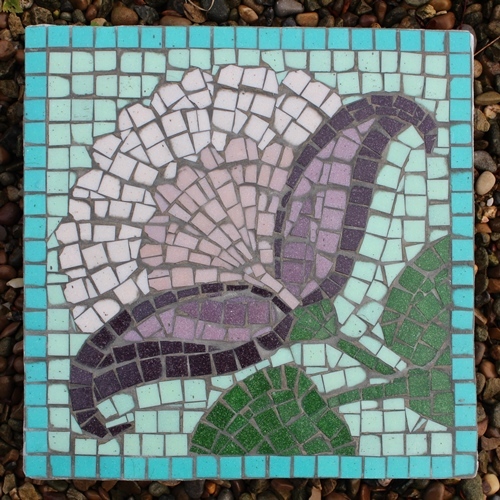 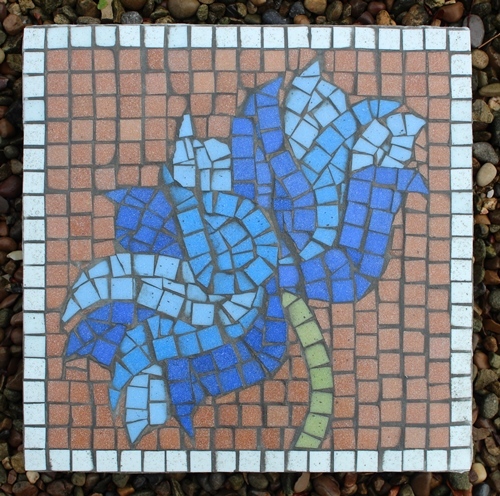 Here’s the four mosaic paving slabs I created with the residents of Leonard Cheshire Disability charity (40cm sq). 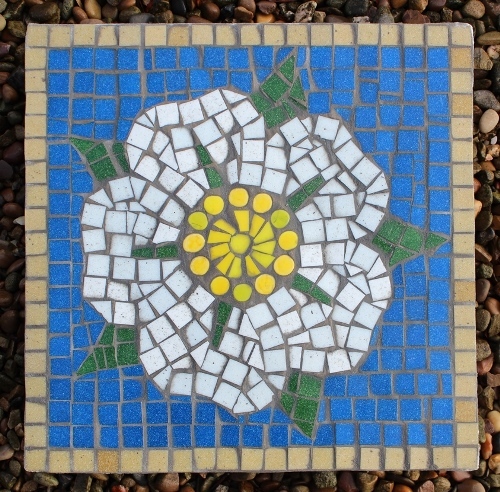 Looking forward to delivering them tomorrow where they will be installed in their beautiful walled garden at Alne Hall, near Easingwold, North Yorkshire. 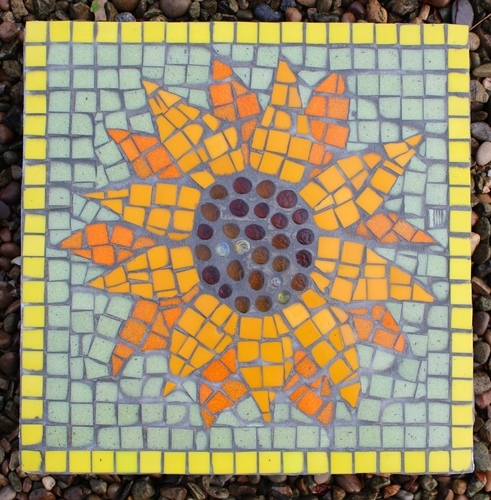 And here is the mosaic I created with Waterhouses Primary School in Staffordshire this month (90x120cm) to be displayed at the school entrance.